With the advancement in technology, it has become increasingly convenient to acquire education. A discipline that has benefitted most from these developments is the field of psychology. A wide variety of psychology degrees are now offered online and can be pursued from the comfort of your home. These range from entry level. 1. Associate Degree in Psychology - this is an undergraduate level program, commonly offered at community colleges. An associate degree typically takes two years to complete, however if you enroll in an online program, the duration could vary with the type of schedule you follow. Upon the successful completion of this program, you could go on to pursue a bachelors degree in psychology, as it is the bare minimum qualification that most entry-level professions in psychology require. In a nutshell, an associate degree provides a solid foundation for you to build upon if you aim to further your career in the field of psychology. 2. Bachelors Degree in Psychology - this is an undergraduate level program that typically takes about four years to complete, however the duration may vary if you enroll in an online course. Most colleges offer the option of choosing between a Bachelor of Arts (B.A. ), or a Bachelor of Science (B.S.) degree. The primary difference between the two degrees is that the former requires more liberal arts general education courses, while the latter focuses more so on science. Upon the successful completion of this degree, graduates could work as career counselors, case managers, rehabilitation specialists and psychiatric technicians. Graduates can also work in other fields that are closely related to their degree, some of the popular areas include teaching, advertising, childcare and marketing. 3. Master’s Degree in Psychology - this is a graduate level degree that typically takes around two to three years to complete depending on the program as well as the enrollment status of the student. Like the Bachelor’s degree, you have the option of choosing between a Masters in Arts (M.A.) degree and a Masters in Sciences (M.S.) degree in psychology. A master’s degree in psychology allows you to further your knowledge and understanding of the field of psychology, focusing on different aspects of psychology relevant to the major you have chosen. Most master’s degree would require you to submit a thesis by the end of the program. 4. Ph.D. in Psychology - this is a doctoral level degree that could take five to seven years to complete and involves a research oriented approach towards a particular area of psychology, enhancing both theoretical knowledge and applied training. The eligibility criteria for each of the programs mentioned above vary; associate degree programs and bachelor’s programs are entry-level degrees and hence require high school degrees and relevant test scores. Advanced degrees such as Masters and PhD programs require a complete bachelor’s degree in a relevant field with a high CGPA. However, when applying for a program students need to make sure they check specific admission requirements. The field of psychology has numerous different areas of concentration, specializations that could open doors to a number of different professions. 1. Career or Vocational Counselors - responsible for guiding individuals with their career decisions by using tools like interest inventories and personality assessments. A career counselor studies the individuals job history, educational background, skills, interests and personality traits in order to shortlist the most relevant career options. 2. Counselors - help and guide people with a wide range of issues regarding family, marriage, substance abuse, educational problems and emotional problems. 3. School Psychologists - primarily work in educational work settings and are responsible for helping students with academic, social and emotional problems. 4. Genetics Counselors - responsible for helping families and couples by providing them information and guidance about relevant genetic disorders. Their area of expertise includes both genetics and counseling. 5. Engineering Psychologists - make use of psychology to understand and analyze the interaction of humans with technology and machines. An engineering psychologist helps in designing and improving technology, living environments, consumer products and work settings. 6. Forensic Psychologists - apply psychological principles and concepts in order to facilitate the procedures of criminal investigation and law. 7. Sports Psychologists - primarily deal with the psychological aspects related to sports and athletics focusing on areas like performance, injury and motivation. 8. Clinical Psychologists - responsible for evaluating, diagnosing and treating people suffering from psychological disorders. Their typical work settings are hospitals, private clinics and mental healthcare facilities. 9. Industrial-Organizational Psychologists- deal with workplace behavior and associated psychological aspects. They apply psychological concepts in order to improve workplace productivity. 10. Special Education Teachers - work with children with physical and mental disabilities. However, the kinds of jobs that can be pursued after acquiring degrees in psychology are not limited to the ones mentioned above. Depending upon the degree, the topics and level of courses greatly vary. However, here is a list of some of the important subjects that are covered in most psychology degree. Online programs give you the liberty of studying from the comfort of your house or workplace. The same courses are offered in the online programs that are offered on campus. The online psychology programs follow a scientist-practitioner model providing students with a strong foundation in psychology and research methodologies while simultaneously focusing on the practical application of psychological concepts. Students are given the liberty to enroll as either full-time or part time students. Programs are designed to be highly interactive so as to ensure that students are given the complete classroom experience. Pursuing an online degree also gives you the opportunity to enhance your technological skills. An online degree does not limit you to a particular location; all you need is a computer and an internet connection. What jobs can you get with a psychology major? How many years does it take to be a psychologist? What are the different types of psychology? Q:While searching for graduate studies, I came across ‘get psychology degree online go at your own pace’. What does that mean? A:Get psychology degree online go at your own pace would be mentioned when searching for graduate studies. This is in reference to distance learning programs. Online educational programs are specifically designed to help students study at their own pace and convenience. These programs have an extensive curriculum in which every topic is discussed in detail. Students also find distance learning programs relatively cheaper as there are no travel and accommodation expenses involved. Prospective students interested in studying at their own pace are advised to search our website for an extensive list of institutions offering this qualification. Q:As I went through the online psychology degrees, there was mention oft the course on Human Relations. What are the contents of his course? A:It is common ti get to read about the course on Human Relations while going through the Online Psychology Degrees. This course is worth 2 degrees in total and is designed to provide the students with ample understanding of the major level issues that are faced by humans in different relations. Students are also highlighted on how to deal in an effective manner with others. Q:What are the contents of the course on Social Psychology in the online psychology programs? A:The Online Psychology Programs have dedicated course on Social Psychology. This course is worth 2 credits in total and is designed to provide students with ample understanding of the tasks that are undertaken by social psychologists in better understanding a society and how it functions. Students are also highlighted on the understanding of attitudes and aggression. Q:What are the contents of the course on Essentials of Sociology in the Psychology degree programs? A:The Psychology Degree programs have dedicated courses on Essentials of Sociology. This course is worth 2 credits in total and is designed to provide students with ample understanding of the theories, questions as well as all those terminologies that are used by sociologists in studying groups and individual human beings and their behaviors. Q:What are the contents of the course on Social Impacts of Technology in the Psychology degree online programs? A:The Psychology Degree online programs have dedicated course on Social Impacts of Technology. This course is worth 2 credits in total and is designed to provide students with ample understanding of the broader level implications of the innovation that keeps on occurring in technology. Students are provided with hands on experience. Q:What will I get to study in Psychology online degree program? A:That totally depends on which specific Psychology online degree program are you going to take admission in. There are two year programs and four year ones. However, some of the general topics might include, general psychology, introduction to behavioral research, human sexuality and physiological psychology. There are various certifications that you can opt for too. Q:What will I get to study in Industrial and Organizational Psychology course taught in Psychology online degrees? A:There are various different Psychology online degrees that you can opt for. For shorter period of time, you can opt for various certifications too. Industrial and Organizational Psychology course is one of the most essential courses included in the program. In this particular course the student get to study about psychological applications in the field of industry. Q:Does the study of psychology include practical tests and experimentation? A:The study of psychology may include practical tests. It depends on the course you are taking and the level of your degree. Practical tests are at times necessary to prove a certain hypothesis. They are many tests that have been devised and can be conducted easily in normal settings to prove psychological associations. Q:Can you give me some information about online degrees psychology? A:Psychology is a popular academic field that is pursed by hundreds of students each year. The field is vast and comprises of various sub categories such as child psychology and criminal psychology. Psychology can be studies at all levels of post-secondary education, a few degree levels that have shown the highest number of student enrollments is: bachelor's degree in psychology and master's degree in psychology. Q:How can I find out if psychology programs will be a good career choice for me? A:If you wish to find out if psychology programs are a good option for you, you will need to see your interest and aptitude in the psychology field. You can read about the course descriptions to have an idea about your interest in the field. An online career test can also guide you in the right program selection. Q:What degree do you need to be a psychologist with specialization in clinical health? A:To become a clinical health psychologist, you must have a post graduate degree and a license or certification. This means you will have to successfully earn a bachelor and masters degree in psychology, and then pursue a doctoral degree. The doctoral program will take approximately 4-8 years to complete. You can also opt for a professional certification in clinical health awarded by the American Board of Professional Psychology. Q:Is a psychologist a doctor? A:Psychologists are professionals who diagnose various psychological disorders and aid depressed patients. Their services typically include counseling and psychotherapy. Psychologists are not allowed to prescribe medicine to patients and are not considered as a medical doctor. However, since they hold a doctoral degree, psychology may be referred to as doctors. Q:How many years of school to become a psychologist with specialization in psychoanalysis? A:Typically, it may take you 8-12 years of college education to become a psychologist. Individuals must earn a 4 year bachelor degree, a 2 year masters degree, and then pursue a doctoral degree which can be completed in 4-7 years. Apart from this, internship, supervise experience, and a residency program may also be required for practice. Q:What jobs can you get with a psychology major? A:Psychology majors can use their knowledge and skills in a number of corporate fields. Some common job positions that one may qualify for are: human resource manager, psychology assistant, police detective or criminologist, social worker, and more. With a doctoral degree in psychology, individuals can become licensed psychologists as well. The exact job will depend upon the level of degree and area of specialization. A:Psychology is an academic field offered for study at all levels of post-secondary education. The field focuses upon the environmental bases of human behavior. Students studying psychology will undergo a scientific study of individuals and groups, psychological assessment of behavior, behavioral disorders, and what factors play a role in affecting human behavior. Q:How many years does it take to be a psychologist? A:After high school, it can take you 8-12 years to become a psychologist. With a high school diploma complete, students must pursue a 4 year bachelor degree and a 2 year masters degree in psychology. The final educational lap includes completion of a doctoral degree which can take anywhere from 4 to 7 years to complete. Individuals must also acquire a license for professional practice. Q:What are the different types of psychology? A:Psychology is a broad field that emphasizes the scientific study of human behavior. The field is divided into various branches. Students can pick any branch of psychology for specialization. 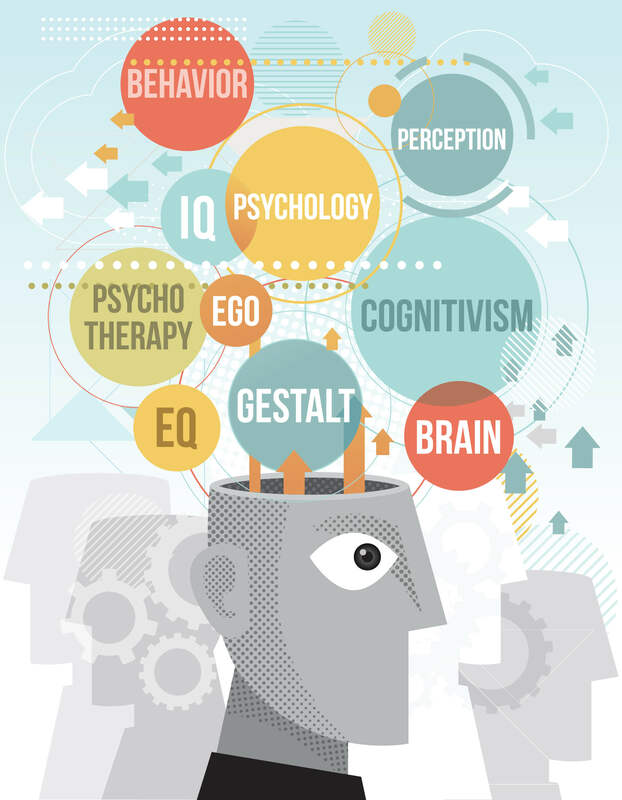 Some of the leading branches of psychology include: abnormal psychology, social psychology, cognitive psychology, biological psychology, developmental psychology, criminal psychology, and personality psychology. Q:How much do psychologists get paid? A:According to the US Bureau of Labor Statistics, psychologists made a median annual income of $69,280 in 2012. The top ten percent made an income of more than $110,880. There are many factors that will affect income level in this profession such as specialization, employer organization, region, license, skill, and level of degree. Q:Is a psychology degree worth it? A:A psychology degree can lead to a number of career opportunities. With a doctoral degree in psychology, you can become a licensed psychologist. According to the US Bureau of Labor Statistics, psychologists made a median annual income of $69,280 in 2012. On the other hand, a bachelor or masters degree can lead to job positions such as the following: social worker, counselor, assistant, human resource manager, and more. Q:What degrees do you need to be a psychologist? A:To become a psychologist, you must have a doctor of psychology degree. A doctoral level degree is mandatory for practice in a few areas such as clinical psychology. A masters degree can qualify you for practice in areas such as industrial psychology. Most states require psychologists to have a license and a certification. Q:What can you do with a major in psychology? A:The type of job you can pursue with a major in psychology will depend upon the level of degree you have earned and your area of interest. You can explore a wide array of career opportunities in areas such as human resource, counseling, rehabilitation, and even education. If you wish to practice as a psychologist, you must have a doctoral degree and a state-issued license. Q:What psychology career is right for me? A:There are many different career paths in psychology. You can choose a path that suits your interest and career goal. Some individuals prefer pursuing positions that involve the clinical practice of psychology. On the other hand, some individuals pursue managerial job roles that involve psychology. For example, human resource departments of many firms require professionals who are well versed with psychology concepts. Q:What schooling do you need to be a psychologist? A:If you wish to become a practicing psychologist, you must have a doctoral degree in psychology. You will need to complete a bachelor and masters degree to qualify for post-graduate programs. A Doctoral degree is required in areas of clinical psychology. In some sectors such as industrial psychology, a masters degree may qualify you for a career. It is important that you check the licensing requirements in your state. Q:How long does it take to get a psychology degree? A:Psychology degrees are offered at various levels of education. An associate degree in psychology is an undergraduate-level program that typically takes 2 years to complete. On the other hand, a bachelor's degree in psychology takes 4 years to complete. As for higher qualifications, you have the option of a master's in psychology that can take between 2 and 3 years. A Ph.D. in Psychology, also known as Doctor of Philosophy in Psychology or Doctor of Psychology is a professional degree that can take around 4 to 7 years to complete. These timelines may vary from college to college. Q:What to do with a psychology degree? A:Psychology is a broad field that offers a wide range of career options. When choosing psychology as a major, it is important to research and learn about the career paths that fall within its category. The type or level of job one can pursue will depend upon the degree/qualification, skills, and specialization. Some common career paths you can consider with a graduate or undergraduate degree in psychology are: counseling, social work, community work, therapeutic work, teaching, marketing, and more. If you wish to become a psychologist, you will need to have a doctoral degree in psychology. The income level will vary from job to job. Q:I want to be a psychiatrist, and am trying to enroll in a college for that. What are my online education options, with only a GED qualification? A:With a GED certification, you can enroll in a bachelor's program. Aspiring psychiatrists can enroll in psychiatry or related sciences, though an undergraduate degree in other subjects are also accepted at the graduate degree levels. Typically students major in psychology at the undergraduate level and go on to specify their specialized area of interest at the masters or doctorate level. To become a psychiatrist, you will need a graduate degree in most cases. Q:If I have a bachelor's in a major other than psychology, can I continue on to get a masters in psychology? A:For most universities and colleges, yes you can. To enter this field as a psychologist, you will typically need a masters degree. To be eligible for a master in psychology, you will need a bachelor's degree. If you have one in psychology or a related life science, it will be considered a plus point. However it is not a requirement. You could have a degree in any other major, with little or no coursework relevant to psychology and may still get admission in masters in psychology program. Admission criteria vary from university to university. Q:Is it a norm to pay out of state tuition for online classes in any college? This is my first time taking online classes and I am not quite sure about my options for online schools. A:Most universities, whether online or not, charge a certain amount for the provision of educational services to out of station students. This could be in terms or tuition cost, technology charge or postal fees. However, there are certain universities that do not charge anything over and above the normal tuition cost, regardless of the residency status of the student. Q:My sister is currently working on her pharmacy tech degree. Is there a degree similar to that of hers that I could do next year or this year to pursue a career in pharmacy tech or a related field? Q:I have an undergraduate degree in exercise science and I want to earn an online degree in sports psychology. What should I do? A:There are many colleges offering graduate programs in sports psychology. Having an educational background in exercise science may not affect your chance of getting accepted by a graduate school. Make sure you check the accreditation status of the school, student reviews, and rankings. Sports psychology programs can also be pursued online. Q:what can I do with a degree in psychology? A:With a degree in psychology, there are a lot of career paths you can end up choosing. Professions that will directly relate to your degree include working as clinical psychologists, counseling psychologists, sport and exercise psychologists, occupational psychologists, educational psychologists, forensic psychologists and so on. You may also find employment as a market researcher, psychotherapist, counselor, human resources officer and social worker.